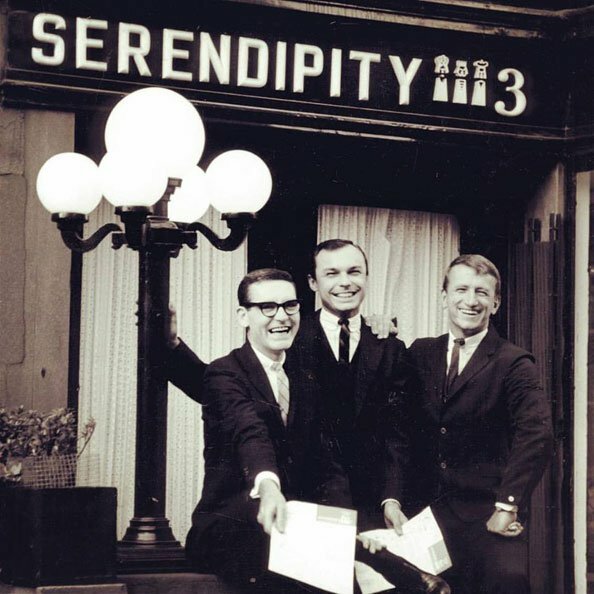 “I first came in cos of the name… “Serendipity”… it’s one of my favorite words… It’s just such a nice sound for what it means – a fortunate accident. Except I don’t really believe in accidents, I think fate is behind everything,” says Kate Beckinsale about the legendary New York cafe Serendipity 3 in a hopelessly romantic movie – a namesake of the café – Serendipity. I, on the other hand, have never heard the word before watching the movie but, just like Kate Beckinsale’s character, have always believed that “fate sends us little signs and it’s how we read the signs that determines whether we are happy or not”. 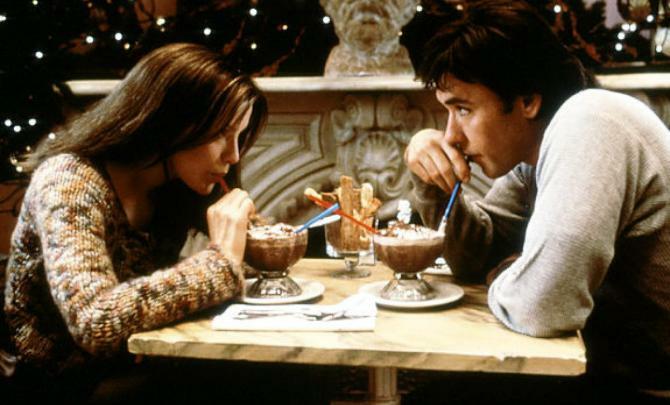 Scene from romantic comedy “Serendipity” with John Cusack and Kate Beckinsale having frozen hot chocolate at the cafe Serendipity 3. Boy, did I have enough and more signs to guide me through life. Sometimes I would see signs where there couldn’t be any, sometimes I would look for them relentlessly when all I really had to do was make up my mind, sometimes I would confuse random happenstances for signs. But as time passed, I learned to recognize the true signs, or at least I want to believe I did. If we could only see how each and every little decision changes the trajectory of our lives! Whether you turn right or left at the crossroads, whether you go to work straight away or stop by to get a cup of coffee on the way, whether you choose a night out with friends or stay at home watching movies. And if this kind of small everyday choices can influence the course of one’s life, what happens when we decide to move to a different country or get married or buy a house? I feel myself such a tiny dot in the Universe, a very special and important dot, but still so little that it would be unbelievable to think there’s nothing beyond me. To be honest, it’s not that I cannot believe that, I simply don’t want to. I want to know that when I am lost there will be a signal showing me the right direction. You might not understand where following that sign will take you, but, to borrow a quote from the movie once again, “You don’t have to understand. You just have to have faith”. Guess how that island is known around the world today? Sri Lanka! 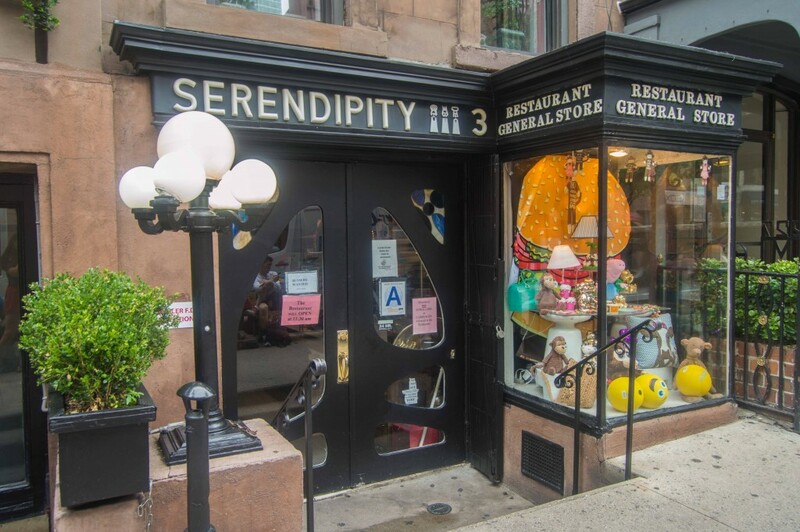 Thus the name “Serendipity 3” was created. The figure 3 in the name is a reference both to three princes in the legend and to three friends who opened the café: Calvin Holt, Stephen Bruce and Patch Carradine. You can read a summary of the legend of three princes on this Wikipedia page. Funny enough, none of my friends in Sri Lanka have ever heard of it. It took me two tries to get into the famed café. The line in front of it is much longer than five people you see in the movie. Being a naïve girl that I am, I planned to have a coffee, take some pictures and continue my marathon around NYC. Upon arrival I was greeted by a manager who proudly informed me that it’s not your regular café and people stay in line for 2-3 hours to get in. Ooops. This café is not popular because of the movie. In fact, it’s the other way around: it was chosen as a set for a movie scene because of its fame. 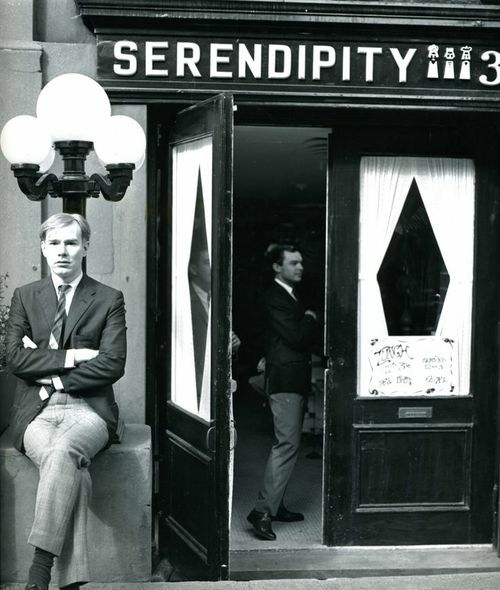 Serendipity 3, New York’s first coffee house boutique, opened in 1954 with 4 tables, 16 chairs and Tiffany lampshades. 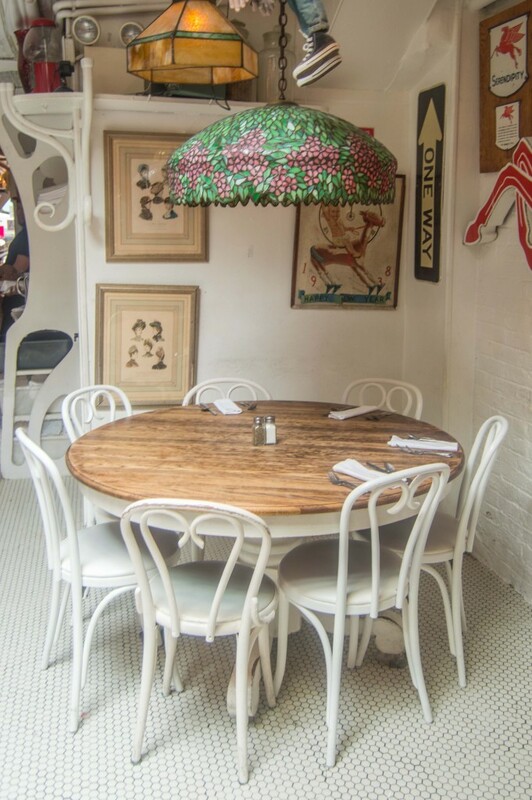 Some of the regulars here included Marilyn Monroe, Andy Warhol and even Jackie Kennedy. The first lady once tried to buy the recipe of Frozen Hot Chocolate – the signature dish of the café – for an event she was throwing, but Stephen Bruce refused to give it to her. No wonder the wait is several hours: who wouldn’t like to sit at the table where Andy Warhol was making his first sketches? That same table is not there, of course. 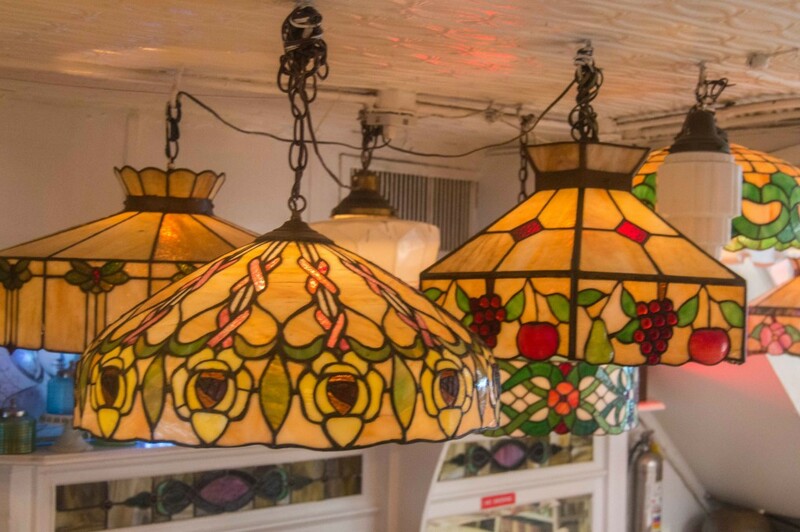 Neither are the Tiffany lampshades. But you feel like Alice falling into rabbit hole when the door opens and you step inside. 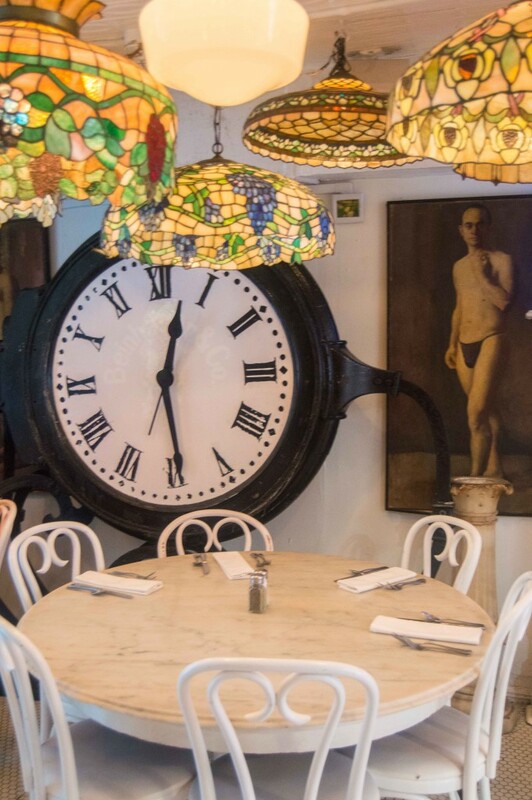 White walls, myriads of mirrors, gigantic clock on the wall instantly transport you into a different dimension. 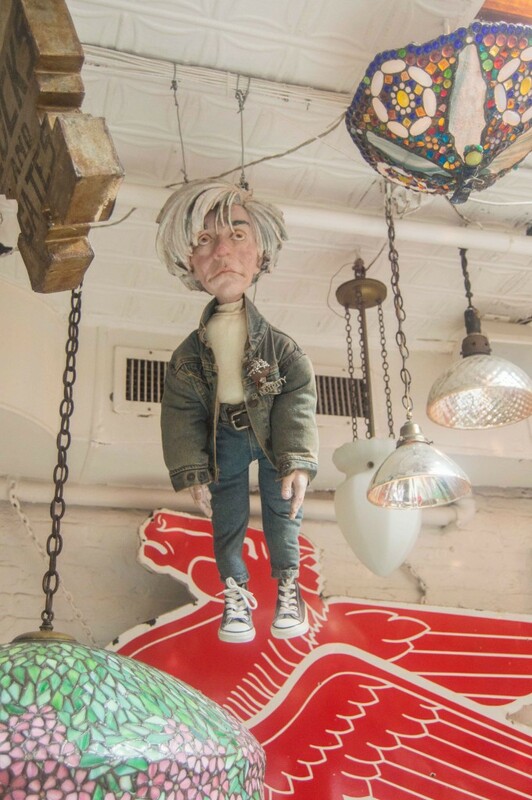 Andy Warhol doll hanging above a table. The best idea is to come here for dessert. Skip the food, which is fine, but nothing to write home about. 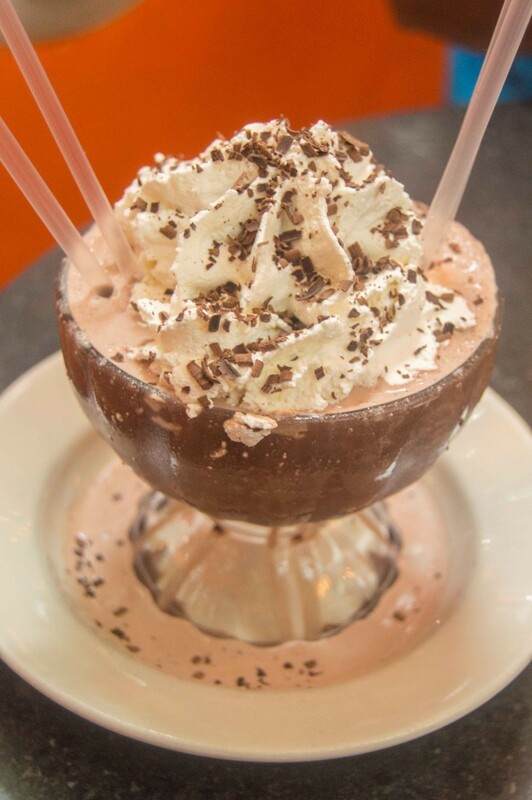 The frozen hot chocolate, on the other side, is what you must try here. Perfected over years, this drink is delectable. That’s what the characters of the movie Serendipity had after their accidental meeting and that’s what you will see on every table. If you haven’t watched the movie, here’s the scene from the cafe. Hope it will make you watch the whole thing and head down to Serendipity 3 when you visit New York! Tips: To avoid a long line, come 20-30 minutes before opening on a weekday. I came at 11.10 on Monday and was able to get in right when the café opened at 11.30. Try the frozen hot chocolate ($8.95), it can be easily shared by two, but the café has a policy that each customer has to spend at least $8.95.